Such a fun cake! Jack is a Bristol City fan and is going to his bowling party in a stretch limo! 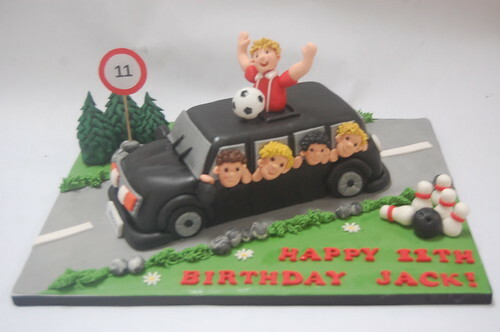 Jack’s Limo Cake – from £100.